It seems that the sun is setting on Wilson Palacios Spurs career this evening with widespread reports of talks being held with Stoke City. We’ve come a long way as a club since his arrival and no more proof of that was needed as the second half progressed at Old Trafford on Monday night. Pre Palacios we had that sort of concession a lot away from home and he was the man who stemmed the tide upon arrival. Anyone who was present at his debut game against Arsenal will surely never forget that performance. He was awesome. All over the pitch, committed to every tackle a real revelation from what had gone before him – certainly for a considerable time. Yet tragedy was in store for Wilson when his brother’s body was discovered some 18 months after his kidnap. Thankfully few of us will have to deal with that horrendous news and quite how he got himself together to get back onto the pitch once more is little short of inspirational. It’s true to say his game has suffered and his form has never reached its early heights but the knowledge that his ability at the game he loves led to the kidnap and ultimate murder of a loved one must pass through his mind about every five minutes with one question. Why me? For a short period it looked like he would be a Spurs legend but his contribution in this zero to hero team should not be overestimated in future years and I wish him well for the future. Alan Hutton may also be the subject of a bid from Aston Villa as his former Rangers manager looks to replace Luke Young who has left for QPR. Another player who was quick out of the blocks upon joining Spurs he looked good until a collision with the perimeter wall led to a knee injury. Since then he and Charlie have tussled for the shirt both offering a different dimension to the side. But with Kyle Walker in the England squad it is important that we give him games so Hutton looks the most likely to move on. Having secured Adebayor on loan for the season West Ham confirmed on Friday that talks were ongoing between the clubs for Scott Parker with maybe a cash plus player being offered to meet the Hammers £8M valuation. This would appear to end the Diarra story and having clearly demonstrated on Monday that he was needed (with Sandro currently injured) the Parker deal comes back to the table. I didn’t think we needed him with the volume of midfield players we have on our books but with current injuries and some reluctance on others part to perform change is needed and Parker should improve things if he plays like he did last season. The problem is how do we shift some of the spent talent that resides within our remaining midfielders? The Chairman maybe needs to take a reality pill on some of his valuations to reduce the wage bill. We have players who are attracting interest but we don’t necessarily want to sell Modric and Crouch. Yet the ones Harry is told to clear first appear to be priced far too extravagantly to attract suitors and this has got to change. 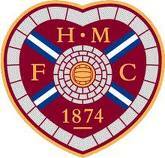 Moving onto the Hearts game. Drab, half hearted, one paced, sloppy and uncommitted were words that came to mind. And that was only Tom Huddlestone’s performance. This was one of the most disappointing games I have seen at White Hart Lane and those of us who went are certainly entitled to a voucher towards the next tie for we certainly paid too much to watch what was on offer. With the tie standing at 5-0 from the first leg we knew that Harry Kane was going to play. Unfortunately he saw little of the ball and when he did it was in wide positions. He also missed a penalty but most Spurs players do that so no need to feel hard done by. I felt we started with too many youngsters. Whilst I appreciate Man City come to town this Sunday and we did not want to risk injury I do think you start the best team, win the game and then make substitutions. Doing it the other way round leads to stars coming on when behind and its then difficult for them to turn the game. Don’t get me wrong they all tried hard but for all our possession we didn’t do much with it and by the end there weren’t many of us left. What we got was a practice match which Hearts competed in well and they rattled the bar in the first half. Their fans were fantastic, enthusiastic throughout to a man even though they had no chance of going through. The best bit of the night was seeing Dave McKay on the pitch at half time though if he had suited up he could probably have won the game for the side he chose to play for. Tommy annoyed me. Here was a chance for him to put on a super performance to say to Harry “here I am” but very little worked for him. His passes lacked the required aggression to hit the right spot and he didn’t take the role of the senior professional as he should have in creating the openings. He should have been raising the tempo a little but it just never happened and we lost our way. When Kranjcar came on in the second half things improved a little but that just showed how wide of the mark Pav can be. Of the youngsters Townsend started in lively fashion but failed to stay on his feet enough and his insistence in running the line every time provided little opportunity for Carrol to show what he could do. The Europa League is a trophy that we can win so I do hope that we deal with our home group games better than we did this one! And so to our home game against Manchester City. It appears that Modric may be over his “injury” and if he is to stay he needs to start playing before the season passes us by. This will be a tough game and whoever plays in midfield needs to recognise that they are the first line of defence. If they fail to get a foot in or chase back when a move breaks down we will lose the game without question but if they stick to the task with the required vigour there is no doubt that we can take the three points. I’m looking for Lennon to link up with Defoe on the break and this could represent our best chance of goals from open play. All too often our wing play produces little for without Crouch we’ve had little to aim at. Whilst this might be changing it’s not soon enough for tomorrow’s game so ball to feet will be important and it’s the early ball that will count. I’m also hoping that Rafa will only shoot from sensible positions and maybe get the length of his corners and free kicks right. It helps. 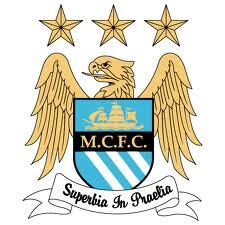 City have started this season as they finished last and are a powerful side. Silva plays a similar role to that of Modric and Toure has so much power going forward. They’ve more forwards than we have midfielders so it could be any of 5 who might feature. By loaning us Adebayor and continuing to pay more than half of his wages they believe they can win every game so we need to be on our guard. It promises to be a fascinating game, let’s hope for three points. I saw our last win at St Andrews and it was a bloody cold day then. My advice to any Spurs fan travelling take extra layers of replica shirts as you might well need them! On our last visit we suffered late heartbreak giving away a late equalising goal. We have to aim for 3 points tomorrow to continue our recent momentum and put fear into the hearts of our top 4 challengers but as G is always reminding me, “sometimes a draw is a decent result.” When we consider that two extra casualties have joined the injury list for a number of games he may well be right. On the other hand when you consider our squad has 25 internationals on it there should be sufficient quality ready to come in as replacements. But we are close to bare bones in some departments centre back being one so its great to see No 20 Michael Dawson available for selection once more. I fancy he should be on the bench after only 1 week of training and the weather putting paid to a midweek practice match. Having had two games from the bench I fancy JD to start tomorrow. As I’ve said before I don’t fancy Pav as a starter away from home so JD and Crouchy do it for me. I fancy JD will stay further up field rather than dropping as Pav likes to do and that may well offer opportunities for swift counter attacks. I midfield without JJ, Tommy and Van Der Vaart I see a further start for Wilson and Luka in central midfield with Aaron and Gareth on the flanks. Great midfield going forward with some steel in defensive formation. Hopefully Wilson will hit white shirts this week in his passing for me his tackling is not in question. I fancy him ahead of Sandro for his experience and the fact that Birmingham can be useful. After a Carling Cup victory over Aston Villa we should expect them to be full of confidence but as an ageing as well as experienced side they may well be carrying in the legs the weight of a tight Wednesday night game. So 4-4-2 and expectations for the formation will be high. For me the difference is the inclusion of a tackler. You can go 4-4-2 or 4-5-1 away from home but if you don’t play an out and out ball winner you will have problems at some point in the game. So Wilson will be key and its down to avoiding cards and completing passes. The cards may be a problem but he proved last season when one card away from a suspension that he can stay on his feet and not rush in. Completing the passes might be more of an issue so please Wilson don’t try the ambitious give it to Luka and let him do the work. He’s a star and it’s what he is there for. Prediction: Daws to get 30 minutes, quick on the break 2-1 to Spurs. 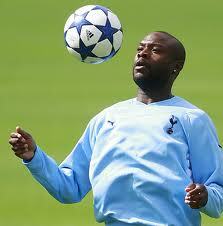 The signing of Billy Gallas provoked widespread reaction amongst Spurs supporters. There are those of us that do and those of us who don’t when we think about the signing but I think that today most of us will be relieved he’s on the roster having seen Michael’s knee capitulate under him on Friday night. Unfortunately I was hoping he would be an addition to the team rather than a replacement for one of our favourites but that is professional sports. As those of you who read this blog will know I think 4-4-2 has had its day and has headed into a maybe temporary retirement with most sides so I’ve been pushing for a 3-5-2 for our side to stop us getting overrun in midfield. Most sides have opted for a 4-5-1 formation with a solitary striker running amok amongst confused defenders saying “I thought he was your man” when the ball is picked out of the net. We remember this well when sides like Charlton and Fulham came to the Lane and went home laughing three points to the good. Our strikers don’t fit this bill in my opinion so unless we bought a “super striker” and made all of the current 4 redundant this is not going to be a formation we favour. Add to that the 25 man squad and room might not have existed for 5 front players. With the transfer window closing with the 1 minute to/past 6 signing of Rafael Van Der Vaart the option of five men in the midfield is really looming as an option. My reasoning for this is the fact that big names rarely sign if there is little chance of progressing to the team. This means that if fit I’d be surprised if both Van Der Vaart and Modric are not in the starting line up. If this is so than Tom Huddlestone or Wilson Palacios will be looking towards the bench and how under 4-4-2 Gareth Bale will be utilised remains to be seen. We than have to consider the arrival of Sandro as he will undoubtedly challenge Wilson Palacios for his place in the side. This will be a shame for Wilson was one of the players who on his arrival made Spurs look like a stronger team. His debut performance against Arsenal was a revelation and in some ways has proved to be hard to live up to and that is without considering the issues he has had to deal with in his personal life. As of today Wilson has been steady in winning the ball but continues to concede possession too easily and Tommy whilst on his day a match winner against better opposition when the game is faster a little slow of thought and not as good in the air as his frame suggests he could be. He is an inspirational passer at times but Glenn Hoddle, who some liken him to, he is not. So if we remain a four who do we pick? Lennon is a certainly on the right. His pace and link up play with Defoe is devastating on the break and I cannot wait to see them in action again now the JD has got his that trick for England. I’ve also observed more grit and determination in Aaron to tackle back and he does win the ball back now or slow down the opposition attack. That leaves us with Palacios until Sandro has been observed, Van Der Vaart and Modric. No Bale! Clearly with the addition of VdV he must drop back into the defence at left back. No I hear you cry and in many ways I agree but in 2010 Bale has become our main outlet and teams are now getting wise and will start marking him out of the game. Wigan achieved this, but if he were left back his forays would be more infrequent and we might see more output from him over the course of the season as teams would not be able to stifle him as ably. What we do know is that Modric like the left and is able to drift inside from that position allowing whoever has been left back to belt past him so this would be a decent role for Bale if it occurs. With a four I cannot find a role for Tommy and that worries me as his long passes have been instrumental in getting our quick players away on the break by dropping a long ball into space. However, his goal tally looks a little light at the present time particularly when you see how well he can hit a ball. 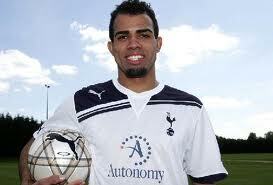 With a 5 that provides an outlet for Sandro giving us two defensive midfielders should we choose to play that way. I could see a persuasive argument to suggest that if Sandro is ready for the team that both he and Wilson could be incorporated from the start in a Champions League away tie in even a 4-5-1 with a more attack minded player coming on as an impact sub later in the game. Looking at the defence if we stay a four Corluka looks the best player with Lennon as he feels more comfortable at the back. When he and Modric are in the same side he is Luka’s go to man and he never misses him. That’s not true he did once away against Stoke or someone but it is so rare it seems right. Kaboul has come in at right back and done alright but he might be the better centre back. A fit Dawson suggested that Gallas would swap with King but what happens when they are all fit. Gallas and King comes to mind now but can we really leave Daws out and not attract a hatful of bids for his services? I’ve already identified that Bale looks like he is dropping back in place of Assou-Ekotto at left back. Ekotto is a funny player. Brilliant at times but sometimes petulant and sometimes a worry away from home. I’ve suggested before he could be dropped for a game but he put in a terrific performance to shut me up! Fair play to him but I cannot see him ahead of Bale for left back if it is a straight pick. What if we went to a 3? I’ve said before Dawson Woodgate King but that does not look likely. With Bill arriving I’d expect a straight swap but without Dawson for the next 8 weeks is it Corluka, Kaboul or Bassong? To be fair I think they can all do the job. Corluka is better at centre back if he starts in this position rather than swapping from right back. If he played he’s be on the right and still feeding Lennon which would be a bonus. If it were Kaboul I think he would play on the right side and feed Lennon but without the understanding that the Charlie and Aaron possess. Ledley would play central and Bill on the left filling in the side he played at Chelsea. These two are relatively comfortable on the ball and Gallas has a goal threat from set pieces. That being said I’m disappointed for whoever gets left out as they’ve helped get us to this position so it is there success that costs them a place in the team. The bench also looks a beeter place should injuries arise.